Best friends Mordecai and Rigby avoid chores and get into more outrageous trouble than they can handle working at their park jobs! When Benson decides to retire from managing the Park, it’s not the end of the world . . . until it is. Literally! It’s up to Mordecai and Rigby to save Skips, High-Five Ghost, and Muscleman from the grips of Chaos, and convince Benson to come home for the sake of the universe. From writer Mad Rupert (Regular Show: Skips, Adventure Time: Banana Guard Academy) and with art by Laura Howell (Angry Birds, Regular Show: Wrasslesplosion), Regular Show Vol. 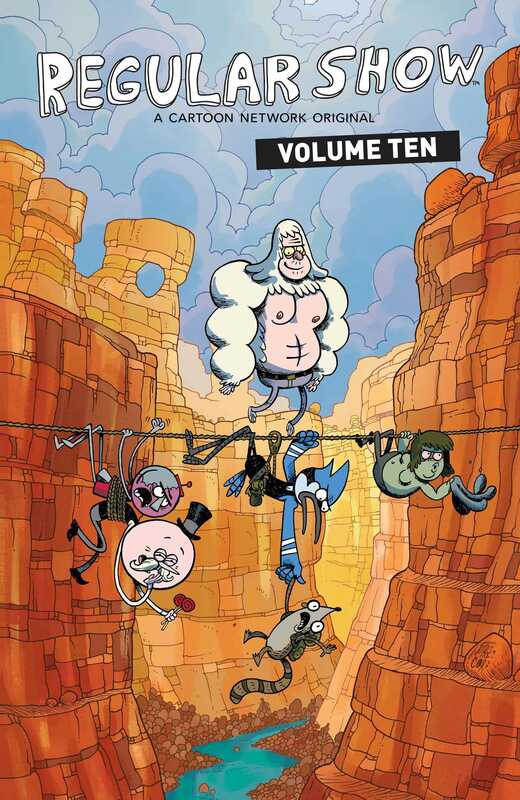 10 marks the conclusion of the hit comic book series based on the fan-favorite show from Cartoon Network.